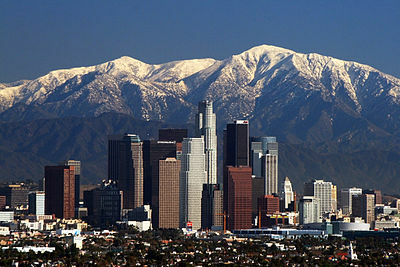 Los Angeles is the second-largest city in the United States and the largest city in California. In 2014, the city proper had 3,928,864 people. In 2015, the urban area of Los Angeles, Long Beach, and Santa Ana had 12.31 million people, which makes it the second most populous urban area in the United States. 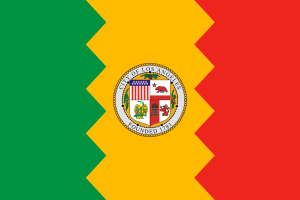 "Los ángeles" means "the angels" in Spanish. Some of the popular monuments in the city are Griffith observatory, and Hollywood. It was originally founded by Spanish colonists and was part of Mexico before it became part of the United States. It has one of the greatest Hispanic populations in the country and is said to be a popular sanctuary city for illegal immigrants. ↑ "Los Angeles". Encyclopedia Britannica. ↑ "List of cities by Spanish-speaking populations". Wikipedia. This page was last edited on 6 July 2018, at 02:06.